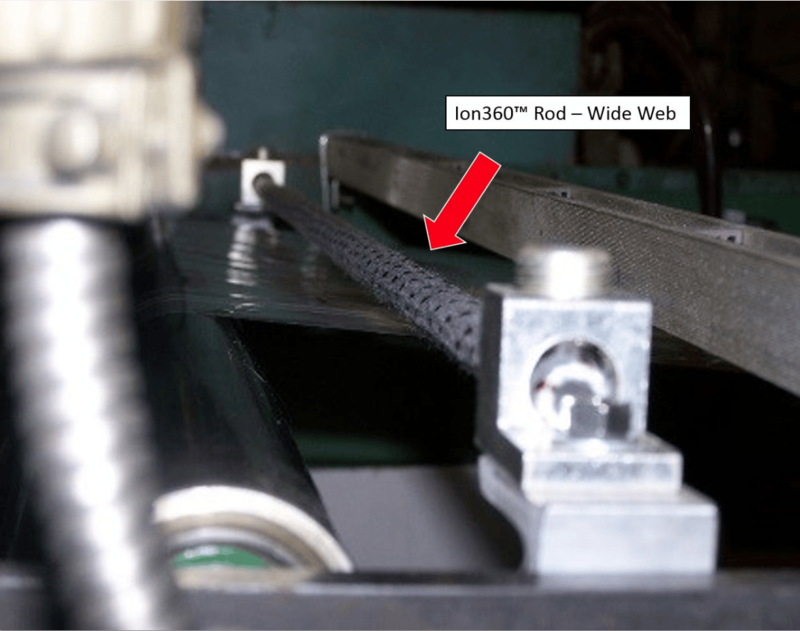 Ion360™ Rods for wide web provides sturdy, permanent mounting of the Ion360™ rod. 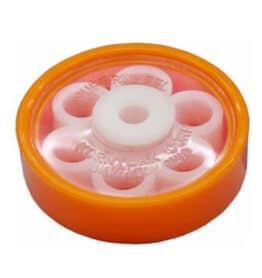 You place it where you need it and the magnet enhances the transfer of the discharge current to ground. Ion360™ rods are more effective than electrically powered bars because they produce more ions when needed at higher static levels and higher web speeds. This means there is no machine speed limit and no static limit. People say: “Your products seem to work like magic!” It is not magic. It is the application of good basic physics! Ion360™ Rods work better on machines than electrically powered ionizers because the micro-points stay clean and keep working. 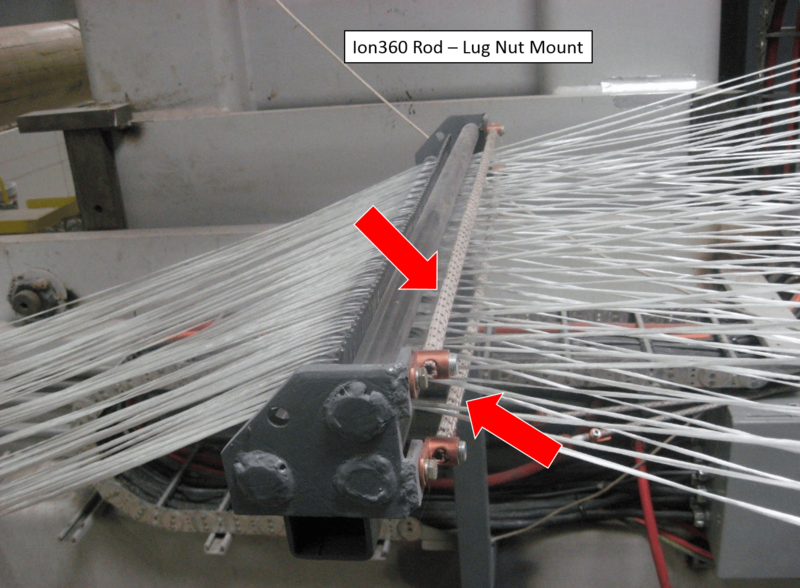 The Ion360™ Rod produces 20 times the ionization of any other ion cord or tinsel product! Place the Ion360™ rod across the surface to be neutralized and ground it to the metal of the machine with the Lug Mount. Adjust the distance from the charged sheet or web from 1/8” away to up to two inches away until you get the optimum static neutralization. 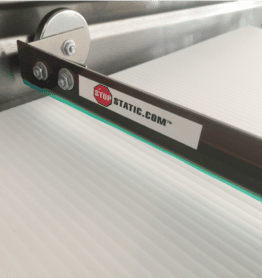 Ion360™ rods can be placed under or over a web or sheet in multiple locations where static develops. Accurate placement is important. 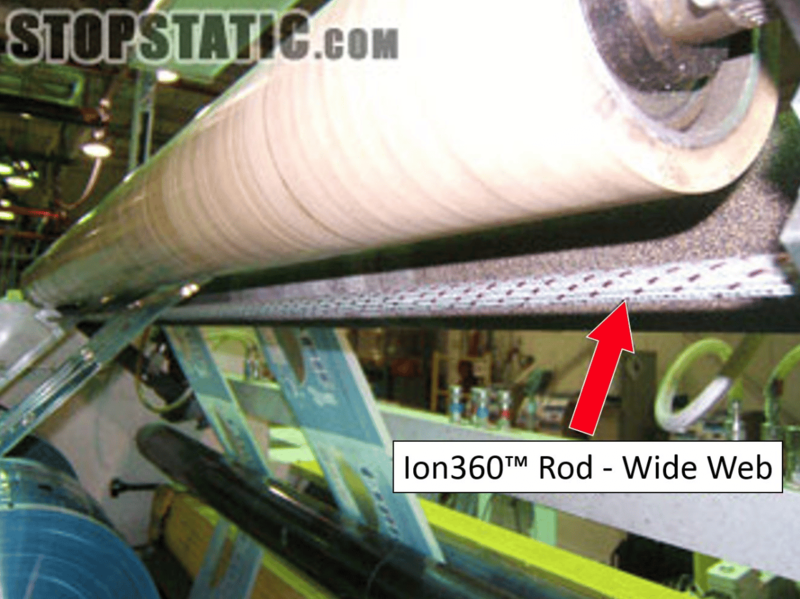 If the static problem is not resolved it is not due to the performance of the Ion360™ Rod. Send us a few phone pictures and we will help you solve the problem. 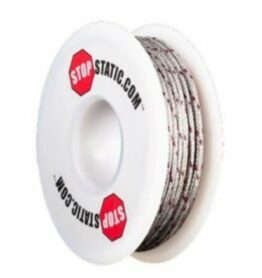 Ask a Technical question: Email: william@stopstatic.com Text or call William anytime: 781-264- 8750. Available in custom lengths from 1″ to 120″. (Next day if necessary). 2 mounting options available. Lug mounting and Magnet mounting – See pictures below. 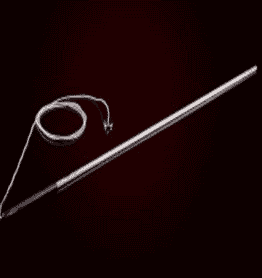 For narrow webs (less than 24 inches long) the Ion360™ ion Rod is .25″ in diameter. The ion360™ ion Rod longer than 24 inches is .5″ or 1/2″ in diameter. The ion360™ – ion Rod system provides a minimal mass and lightweight core that attracts the static charge without the need for a power supply. Connect the ion Rod to ground (bare metal of the machine). Attached with a magnet mount shown above, for narrow webs- less than 24 inches. Mount with an aluminum lug for wider webs, 24-120 inches, shown above. Mount ion360™ – ion Rod about 1 inch (25mm) from surface to be neutralized. 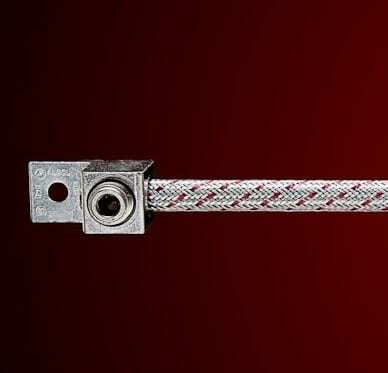 Connector Lugs Lug Extender • Pressure type lugs for Landis & Gyr’s stud type meter mounting devices are made of 6061-T6 aluminum to provide high strength and high conductivity.